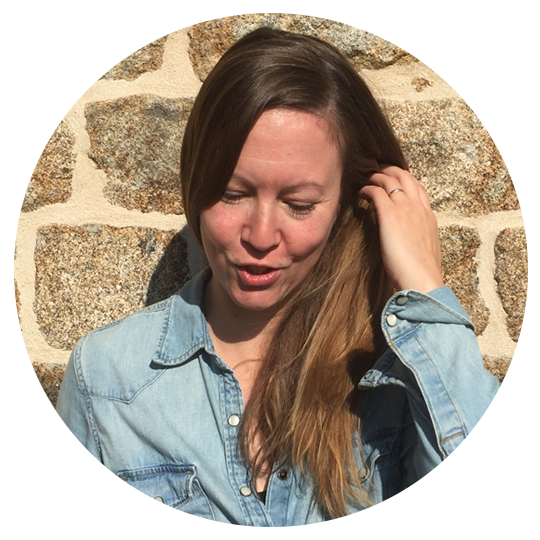 On several occasions in the months leading up to WordCamp Europe, which was held a few short weeks ago in Paris, people approached me to say that they’d heard things weren’t going well. “Yeah, I’ve heard that organizers aren’t happy,” was the short version of what I was told from these people outside of the organizing team. This, of course, made me pretty sad, but not for the reasons you might think. It didn’t make me sad that I was hearing this from people outside of the organization, rather than directly from those allegedly unhappy people I was working alongside. It didn’t make me sad that people from inside the organization were saying such things to people outside of the team. I get the need to vent, and even more so that’s it’s easier to vent to people whose feelings you won’t risk hurting. It didn’t even make me sad that people were unhappy in the first place. I was unhappy too at times, and shared the coming and going of my alternating elation and discontent over time with family, friends and co-organizers. No, what made me sad was that these people coming to me thought they held some secret, privileged information. That they thought they were teaching me something I didn’t already know; that they even thought it was news worth spreading in the first place. Hashtag WPDrama. What makes me sad is that people don’t realize something fundamental about organizing WordCamps, and WordCamps the size of WCEU in particular: you’ve gotta be a little nuts to do it in the first place. …actually, let’s back up a few years, to 2013, when a bunch of fantastic and crazy folks in the European WordPress community got together, probably around a few gin & tonics and martinis, and thought it would be a great idea to unite people across borders, to have a great gathering of minds on this side of the Atlantic, to create a balance in the largely US-centric world of WordPress. And so WordCamp Europe was born, and brought together over 700 people from all parts of the world in the relatively small and little-known city of Leiden, the Netherlands, that fateful October. Many minds were blown that weekend, many friendships forged, and a whole lotta people were inspired, including many from the French community, which immediately felt the effects and began to blossom nation-wide. 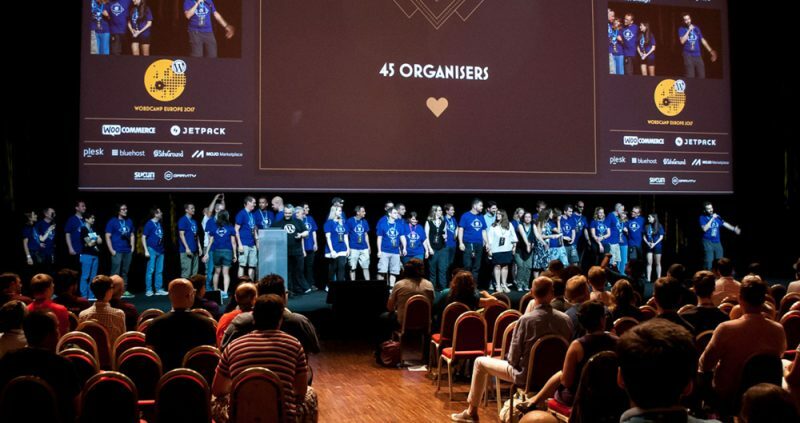 Fast forward a couple years to Seville: the announcement had just been made that WordCamp Europe would be traveling to Vienna in 2016, and the organizing team was calling for candidates for 2017. My twitter feed exploded with hashtag France, hashtag WCEU. The seed was planted. Until then most of us hadn’t really thought about how the host cities were chosen, we just followed and marveled as we traveled from Leiden to Sofia to Seville, watching it grow and become something everyone wanted to continue experiencing. From what I’ve gathered since, those early organizers were figuring it out as they went along too: what started as a farfetched idea became an instant success. Since it had never been done before, there were no rules. There was no process other than following the guidelines of WordCamps in general, and the decision to change cities every year. They had a dream and a desire that the community responded well to, and they took it from there. Interested parties were told to meet during Contributor Day, the Sunday after the WordCamp. Hungover, running on little sleep, and trying to beat the heat, a small group of us gathered on bean bags and armchairs in the lobby of the Barceló Gran Hotel Renacimiento to learn more about how the organizing team worked, and how to go about bringing the event to our cities. I looked around. I was the only one there from France. There were also folks from Germany, Greece, and Serbia, among others. We learned about how the organizing team was broken into what they called the “global” and the “local” team. The global team handled the aspects of the event that weren’t specific to a location: speakers, sponsors, design, volunteers and to an extent, communications. We learned that the local team was responsable for finding venues and caterers for the main the event, Contributor Day, the speaker dinner and the afterparty. We learned that the local team also lent support to other teams around logistics, and provided practical information and knowledge around the host city (accommodations, transportation, tourisme, etc.). A venue with a minimum capacity of around 1200 people (Seville had around 900 attendees), with at least 2 tracks. One track should be able to hold around 800 people, the second around 600. A budget which already considered a long list of costs, including venues, catering, wifi, and printing (for badges, t-shirts, stickers and the like). A city that was welcoming, accessible, affordable and an overall desirable destination. Not intimidating at all. Hashtag sarcasm. We were also told that they were looking to recruit people for the global team, not only host city candidates, and that serving on the team would be a good idea for any potential candidates to get a sense for how the team and the organization worked. I signed up (disclaimer: I was hungover from the afterparty the night before and had barely slept, remember?). And so I joined the organizing team for WordCamp 2016, which took place in lovely Vienna, Austria. I was assigned to the speaker team, in charge of soliciting talk proposals, selecting speakers and devising the program for the two main conference days. Somewhere along the line I also got wrangled into helping out with various other tasks, including supporting the sponsor team, editing invoices, answering general emails and copyediting for the website. Some of you might already know this, but for those who don’t: the event exploded that year, leaping from the 900 some-odd attendees in Seville to upwards of 1900 attendees! As a then relatively small team of 20 organizers, we had our work cut out for us. Jumping in to help where needed was a great opportunity for me to learn about different aspects of the organization. The explosion in attendance also had a direct impact on the application I’d been preparing. You see, I wasn’t focused on Paris as a destination in my efforts to bring WCEU to France. I had my sights set on Lyon, and had already been down to visit a venue and scope things out. Lyon is a beautiful town, also easily accessible via international travel and lighter on the pocketbook than Paris. But the word came down that applicants now needed to be proposing venues that could hold at least 2500 people, and even better if they could hold 3000. Three thousand people. I said it out loud to myself several times, and then changed gears. The venue I’d been looking at couldn’t hold that many people, but I’d also been hitting a wall with the local community in Lyon. The key contributors were working on other things, the meet ups had all but died off, the local community was not going to help. The funny thing is, in the end, very few of the incredible folks who worked with me on the local team to make Paris happen actually lived in Paris. Yes, this is a bit of an aside, but it’s part of this telling tale about the kind of person it takes to volunteer their time for something like this. I live in Normandy and traveled a half a dozen times, 5 hours roundtrip by train each time, to Paris on WordCamp business. Another teammate moved to Lyon soon after we kicked off. Another lives in Grenoble, Another, in central France and another in the southwest. Not to mention the organizers from the global team from all over Europe and working from all parts of the world. We are freelancers and employees and business owners. A lot of us work in WordPress-related companies by day, but some of us work in completely unrelated fields. Some of us are unemployed. We are all volunteers. We all dedicate our time and energy for free to make WordCamp Europe happen. This year we grew our team to 50 individuals to better distribute the burden and account for those team members who inevitably have something come up and cannot stay the course. We were 45 organizers by the time we got to Paris. 45 people working remotely, asynchronously, in a self-organizing fashion to bring 2000 people together from all parts of the world, recruit and manage over 200 additional volunteers to work the event, publish 200 articles to keep our attendees informed, order food, t-shirts, and find sponsors to help us pay for it all. Think about your day job. The one you get paid for. And think about the difficulties you have. The times when you’ve been frustrated with management or your employees for various reasons. Think about those days when you’re just fed up because no matter how much you love it most days, sometimes you just need a break. Now consider this group of 45 organizers working year round under extreme conditions, who also have day jobs. Tell me we aren’t a little nuts. And tell me that it’s not normal for us to gripe from time to time, to criticize management or our teammates. Tell me that it really surprises you that someone might complain or say they weren’t happy with the way things are going. I am so nuts in fact that I’ve signed up for one more year of this beautiful madness, because WordCamp Europe is that important to me. It gives me great pleasure and sense of purpose to be a part of bringing so many people together, giving us all this opportunity to meet, learn, hire, be hired, do business, share, inspire, be inspired and contribute to this incredible open source project we call WordPress. And someone thought it would be a good idea for me to lead the charge too, probably because I’m the craziest of the bunch. People griped about the leadership in 2016. People griped about the leadership this year. I can assure you, people will gripe about the leadership under my watch too. We are just people, doing our best, adapting to an ever-changing landscape, in our “free time”, and we’re doing it…for you. The next time you hear someone venting about WordCamp organization, whether it’s the European team or any other, just listen and be supportive and give a knowing nod, because you know that behind it all, no organization is perfect, least of all one as ethereal as ours. You also know that the elation, praise, gratitude and pride from organizers and attendees alike, outweighs all the rest. Think you might be crazy enough to join in the fun? Keep your eyes peeled here, the call for organizers will be going out soon! You are a star and working with you is one of the great gifts I got in my professional life. You rock, Jenny, and we all love you. You did such amazing job. All we can do is bow humble and applaud all your work. Please keep being nuts. It was great to work with you. As far as I know, the team was happy with your leadership. Congratulations for a great WCEU. As member of the local team at Sevilla, I really know how hard has been, and even harder with more people and many more features. You rock. Thanks for letting me being part of the team. We all need a little insanity in our lives is my belief :) It’s been a pleasure working with you, Jenny!! As much as this journey has been a challenge it’s also been a rewarding learning experience, and so much fun seeing people enjoy the event!